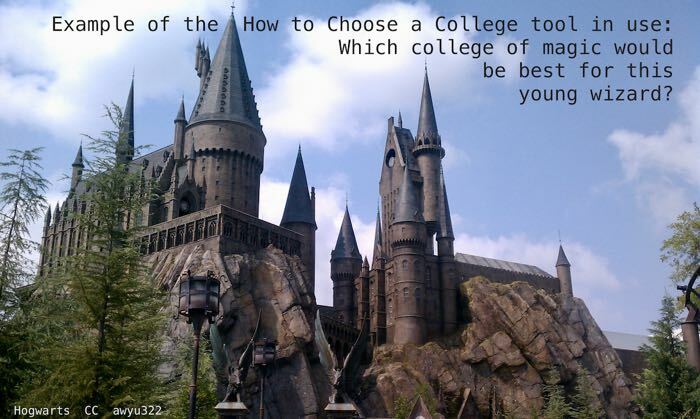 So you've decided you want to go to a selective four year college. You're doing well in high school and you want to aim high. How does the process actually work? This post equips you with some tools to take the mystery out of it. Ed100 introduces a new tool for students to make informed choices about college. But before we go there (and we will), let's take a step back. There are many good reasons to go to college, and getting into a good college is a fine thing to want. But it's also smart to go in with your eyes open and your bank statement in plain view. Working your way through college in four years directly out of high school used to be difficult, but achievable. Today it is mathematically impossible. Many students that begin college find that they cannot afford to finish it. According to Ben Casselman, senior editor and chief economics writer of 538.com, "Nearly one in five Americans age 25 to 34 has some college credits but no degree, and a growing share of them have student debt." Aggregate college debt in America is about $1.5 trillion, a sum even larger than credit card debt. America's most famous colleges — the ones that routinely show up on "best college" rankings — are primarily colleges for the rich: they enroll more students from families in the top 1% of the nation's income distribution than they do from the bottom 60%. About 40% of children from America's richest families attend an Ivy League or other "elite" college. Students who attend these schools tend to do very well in life, and for students from families of modest means a diploma from an elite college can change everything. But the number of seats available in these schools is tiny. According to data from the Department of Education, more than three-quarters of U.S. undergraduates attend colleges that accept at least half their applicants; just 4 percent attend schools that accept 25 percent or less, and hardly any — well under 1 percent — attend schools like Harvard and Yale that accept less than 10 percent." College can be an engine for social mobility, and some schools are particularly notable for being the launching pad for the American dream. But most of these launching pad colleges are on a different list than the elite schools. Students in California are fortunate to have access to a strong three-tiered system of relatively affordable public colleges and universities, thanks to a Master Plan for higher education established in the state more than half a century ago. Many students in California begin their education in the affordable Community College system, then (with difficulty, unfortunately) transfer into the California State University, the University of California or elsewhere. In the end, from a career perspective, the school where you earn your highest degree is the one most noticed on your resume. Barack Obama is better known for having attended Harvard than Occidental. Whenever a teacher assigns a major project, the process begins with a rubric — a scorecard that breaks the work into parts. To earn a top grade, you have to do well on every part, but not all parts are of equal value. The rubric helps students know what counts, so they can manage their time and invest their energy where it will count. The rubric also helps teachers evaluate work and assign a grade. Colleges look at your application through the lens of what they need. Are you qualified to apply? The minimum academic bar for most four-year colleges in California is the a-g requirements, a set of courses you must pass before graduation with a C or better before you can earn college credits. But colleges can set their own requirements. Will you succeed academically at college? Admissions officers at competitive schools can predict whether you will be academically successful in college pretty reliably by looking at high school transcripts and ACT or SAT scores (open link for a comparison). Students who are underprepared might fail, which reflects badly on the school. The best things you can do to expand your college choices are to earn good grades in tough courses and earn high scores on standardized tests. Will you add to the student body in a way that the the school wants? The admissions office plays an important role in building and balancing the student body. Even elite colleges don't only want rich prep school kids. They look out for diversity. Students who have overcome obstacles can be fantastic contributors to a college community, and many colleges look for them specifically. They also try to fill all sorts of specific needs: If a college is building a music department, they need cellists; if they have major athletic programs, they need skilled athletes; If they want lots of vibrant extracurricular groups, they need leaders. Colleges look at your application through the lens of what they need. Yield: Will you choose to attend, if offered a spot? College admissions teams want to extend offers that will be accepted. If they think you will decline their offer, they have an incentive to reject you, even if they think you're great. This is serious stuff. For colleges, yield (the percentage of accepted students that go on to enroll) has become a key factor in school rankings. Admissions teams are increasingly sophisticated about this. They score students' likelihood to choose their school based on measurable signals of "demonstrated interest": Did you show specific, informed interest in your essay? Have you opened emails they sent you? (Yes, they can tell.) Did you visit the school and take a tour? Did you show up to an event? Do you have some kind of connection to the school? What Do You Want, Student? A rubric can help you make a good college choice. What might be less obvious in this process is that you need a rubric, too. To evaluate whether one college will be better for you than another, you need to know about the colleges, but you also need to know what matters to you. Building a useful rubric is difficult, so we thought it might be helpful to give you a head start. In true Ed100 fashion, let's break it down. 100 Pennies. 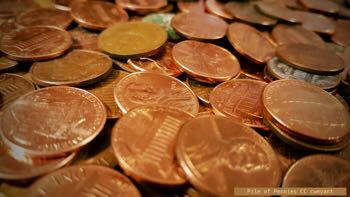 Suppose you had 100 pennies to represent what matters to you, broadly, in choosing a school. These aren't the only considerations, by a long shot, but it helps to start with a point of view. Choose your Decision Factors. The next step, as you learn about colleges, is to get more specific about the factors that will drive your decisions. Open the Ed100 How to Choose a College tool. It's a free tool built as a Google Spreadsheet. It's not fancy, but you don't need fancy, right? You need clarity. After printing the instructions, start with the Interview tab in the sheet. It's meant to be a little like having a college counselor guiding you and asking the questions that actually matter. If you follow the instructions, you'll have a your own rubric. You'll also have some helpful guidance about what to ask as you investigate college options. Review and Rate Schools. Once you have used the Interview to define your decision factors, the Ed100 How to Choose a College tool gives you scorecard to evaluate each school you research (or, ideally, visit). Use the tool, and you will literally have a list of schools stack-ranked on your own terms. If you follow the instructions in the scorecard, you'll have a big leg up on writing your application, too. Make choices. You can't apply to a zillion schools, and you shouldn't apply just to the amazing schools at the top of your dream list. You will probably want to apply to a number of schools, including some that are a "stretch," some that are a reasonable "target" match, and some where you are "likely" to get in. As you review schools using the Ed100 How to Choose a College tool you can identify your likelihood of getting into each one. Oh, Yeah… the Money. By identifying researching and ranking schools in each likelihood tier, you will have a basis for making choices among them with money in the equation. If you are a very strong student with a compelling story, don't be too quick to write off those selective colleges. Financial aid exists. If a college decides they really want you, they may offer scholarships or find ways to help. Many colleges allow students to apply on an "Early Decision" (ED) basis. You need to understand this. ED isn't just about sending your application in early, which is called "Early Action" (EA). It's a contract. You may only apply to ONE school for early decision, so if you use Early Decision you'd better be thoroughly sure of your choice. If accepted, you go. Remember the part about "yield"? Colleges have an incentive to extend offers that they know will be accepted. A high yield score serves as evidence that students really want to attend a college, which boosts the college's standing in college reviews. Schools like to admit qualified students Early Decision, because every student they admit in this way is a sure bet. At many schools, applying ED can boost your odds of being admitted. Colleges share with one another the names of the students they admit via Early Decision. Doing so saves them time and helps them avoid extending wasted offers that would reduce their yield. There's a catch, of course. The Early Decision system might help you if are able to pay full tuition, or willing and able to accept whatever financial aid package the college offers. But Early Decision can put you in a terrible negotiating position, so choose carefully. As you do your research, the Ed100 How to Choose a College tool provides space for you to take notes on each school's financial aid policies and the percentage of students admitted via early decision. My son is graduating in June from High school and the "How to choose a college" information was helpful in deciding on financial matters. San Diego State here "we: come!!!!!! Ken, I'm so glad this information helped your son make his decision! Thanks for letting us know. On this topic, "You got into the college of your dreams. But will you actually go there?" has some data on the impact of cost. According to the article, you probably won't go there.. Why? MONEY. The tool looks amazing. Looks like lots of thought went into making it comprehensive, yet easy to use (and dare I say... fun). Wizarding school sample is helpful and instructions are good mix of seriousness and lightheartedness. Having gone through the process with older kid, I'm looking forward to using this tool with the younger in a couple more years. Thanks Jeff and Ed100 Team! Be wary of colleges that advertise heavily. They may be organized as for-profit entities, and many of them are better at collecting your loan dollars than are at giving you a useful credential. Some of these schools literally spend more of their budget on advertising than than on education. For more see this post by collegeaffordabilityguide.com.